Martial Artists whose bodies are deadly weapons, these fighters excel at Hand-to-Hand combat. Capable of turning even the weakest of weapons into a destructive force, Monks do especially well against enemies weak to blunt damage. Hundred Fists 1 00:00:45 02:00:00 Speeds up attacks. Boost 5 00:03:00 00:00:15 Enhances the power of your next attack. Dodge 15 00:02:00 00:05:00 Enhances evasion. Focus 25 00:02:00 00:05:00 Enhances accuracy. Chakra 35 Instant 00:05:00 Restores a small amount of HP. Chi Blast 41 Instant 00:03:00 Releases chi to attack an enemy. Counterstance 45 00:05:00 00:05:00 Greatly weakens defense but increases your chances of counterattacking. Mantra Merit 00:03:00 00:10:00 Increases the maximum HP of party members within area of effect. Formless Strikes Merit 00:03:00 00:10:00 While in effect, melee attacks will not be considered physical damage. No effect on weapon skills. Perfect Counter 79 00:00:30 00:01:00 Allows you to counter the next attack directed at you. Impetus 88 00:03:00 00:05:00 Enhances attack and critical hit rate with each successive melee attack you land. Subtle Blow I 5 Reduces amount of TP gained by enemies when striking them. Counter 10 May cancel target's attack with an attack of your own. Max HP Boost I 15 Increases your maximum HP. Subtle Blow II 20 Reduces amount of TP gained by enemies when striking them. Max HP Boost II 35 Increases your maximum HP. Subtle Blow III 40 Reduces amount of TP gained by enemies when striking them. Kick Attacks 51 Occasionally delivers kick attacks when using hand-to-hand weapons. Max HP Boost III 55 Increases your maximum HP. Subtle Blow IV 65 Reduces amount of TP gained by enemies when striking them. Max HP Boost IV 70 Increases your maximum HP. Kick Attacks II 71 Occasionally delivers kick attacks when using hand-to-hand weapons. 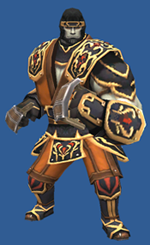 Martial Arts VI 75 Increases speed of hand-to-hand attacks. Invigorate Merit Adds a regen effect when using Chakra. Penance Merit Adds an effect to Chi Blast that inhibits an enemy's TP accumulation. Tactical Guard 77 Grants bonus TP when guarding against an attack. Martial Arts VII 82 Increases speed of hand-to-hand attacks. Skillchain Bonus 85 Improves skillchain damage. Max HP Boost V 88 Increases your maximum HP. Despite what the name "Hundred Fists" implies, this ability can be used with any type of weapon. 1	 Hundred Fists 02:00:00 00:45:00 Greatly increases attack speed. Focus Recast Reduces recast timer by 10 seconds per upgrade. Dodge Recast Reduces recast timer by 10 seconds per upgrade. Chakra Recast Reduces recast timer by 10 seconds per upgrade. Counter Rate Increases rate by 1% per upgrade. Kick Attack Rate Increases rate by 1% per upgrade. Mantra Increases HP of party members within area of effect by 4% for 3 minutes. Each additional upgrade increases this by 4%, but caps at 12%. Formless Strikes Turns melee attacks into non-physical damage. Additional upgrades to this ability increase its effectiveness by 5%. Invigorate Adds a 10 HP/tick regen effect when Chakra is used. Additional upgrades to this ability add 24 seconds to its duration. Penance Adds a Chi Blast effect that causes enemies to gain less TP. Additional upgrades to this ability increase its duration by 20 seconds. This page last modified 2011-03-28 14:12:00.